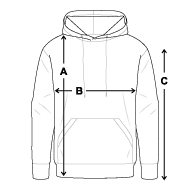 This hoodie can be ordered in a selection of colours. The shaderMeister nogo is neon green and the "shaderMeister" type metallic silver. Features the shaderMeister logo on the back to let people know who you are while you're working.